Jermaine Trevell Dye (born January 28, 1974) is a retired American Major League Baseball right fielder. Jermaine was born in Oakland, California and grew up in the “Bay Area” in a town called San Pablo in California. 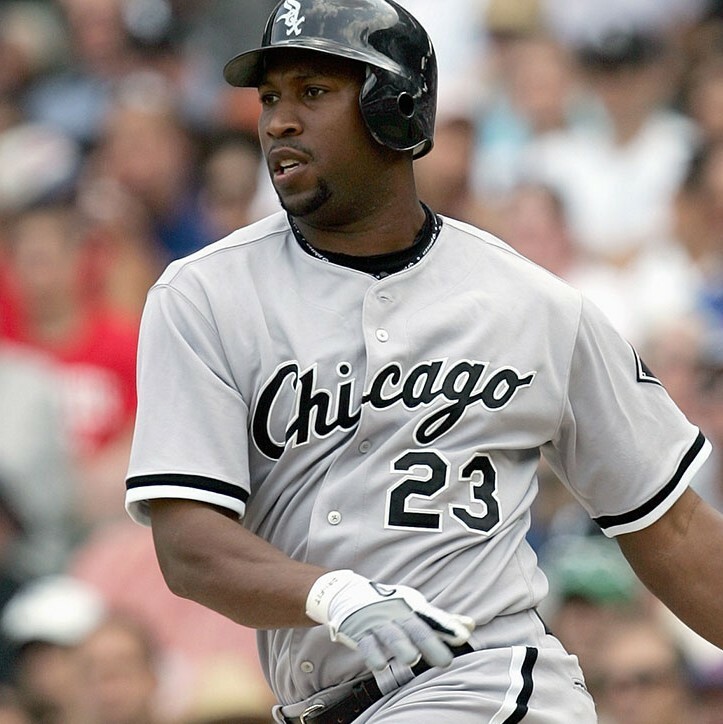 During his 15 year MLB career, Jermaine played for 4 teams (Braves, Royals, Athletics, and White Sox) and received numerous awards for his incredible play, including 2 All Star nominations, a World Series MVP (2005), a Golden Glove Award, and a Silver Slugger Award. Jermaine is enjoying his retirement and resides in beautiful San Diego, Ca with his lovely wife Tricia and their 3 kids. Jermaine loves doing charitable work and thrives on helping out kids in the community. You will often find Jermaine out playing golf in various celebrity golf tournaments around the world for a good cause. Jermaine loves being a family man and one of his favorite things to do is going on family trips around the world but he admits being a MLB player you miss cherished moments and now retired nothing matters more than watching his kids play sports being their biggest cheerleader. He attended Will C. Wood High school in Vacaville, Ca were he was a 3-sport standout in baseball, basketball, and football breaking and setting high school records. Jermaine was drafted in 1993 by the Atlanta Braves and went on to having a phenomenal career in the big leagues. Jermaine played in the minors for 2 years before being called up by the Atlanta Braves on May 18, 1996. His 1st MLB at-bat he hit a home run that sparked an amazing Major League Baseball career.